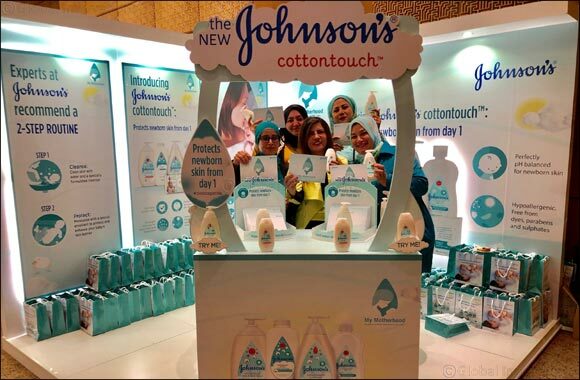 Kuwait, Kuwait City: April 13,2019: Johnson's participated at the 21st edition of the Arab Hospitals Federation held in Kuwait City. The event provides a platform for decision-makers, leaders and C-level executives of Arab hospitals and healthcare organizations to discuss key drivers of healthcare policy, management, financial developments and solutions in the healthcare management and service delivery. His Excellency Sheikh Dr. Basel Hamoud Al Sabah visited the Johnson's stand and was introduced to the Johnson's team and to the latest innovative products of the brand.